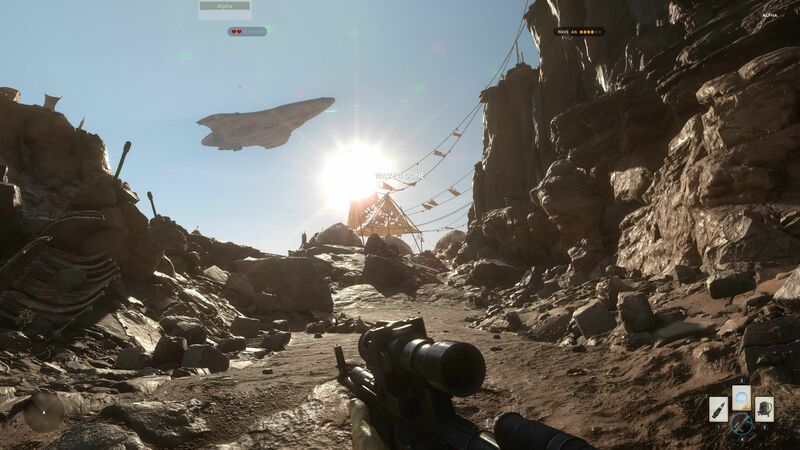 Star Wars Battlefront gameplay footage has leaked from the current alpha test. The Star Wars Battlefront alpha is available for a lucky few and thankfully, some of them have captured gameplay for the rest of us. The gameplay below is captured on PC and shows both the multiplayer and the survival mode called Missions. The videos keep getting taken down by EA, but AGB has mirrored them for the time being. If you’re looking for more, the game’s alpha client has been mined and revealed all sorts of juicy details about weapons, maps, vehicles, emotes, and others. We also have a few 4K screenshots showing the game’s Ultra settings.